We work with a range of customers, from large inbound tour operators, small travel agents, incentive operators, corporate clients, universities, schools, cruise liners, and the individual guest who wishes to plan their own sightseeing or golf tour and dictate their own pace. With so many years’ experience guiding visitors around Ireland there isn’t a part of Ireland that we haven’t visited! We offer a quality service in luxury vehicles at an affordable price. Our personalised service is tailored to meet our guests’ expectations and we have a team of dedicated driver/guides whose priority is providing you with a safe and enjoyable tour. Our driver/guides have many years’ experience in sightseeing tours and over the years they have built up a vast knowledge of Ireland: its history & folklore, music, song and dance as well as the sights and scenery of this beautiful country. With Kennedy Coaches at the wheel there is nothing for you to do but to sit back, relax and enjoy your luxury chauffeur driven tour of Ireland while creating memories to last a lifetime. Our team will be delighted to quote you for your sightseeing tour, please contact Lorraine for a quote at lorraine@kennedycoaches.com. With a fleet of luxury chauffeur driven cars and coaches we are the perfect partner for your corporate hire. Our corporate coaches have tables, leather seats, power points, wifi and audio visual/PA system so you can work as you travel. The comfort of our coaches will ensure you and your team arrives at your destination relaxed and ready to work. Whether you require airport transfers or transport for conferences, meetings or team building events we have the perfect vehicle for you. Ever dreamed of teeing off at the famous Old Head of Kinsale or playing 18 holes at Royal County Down? Then look no further. With a long history of chauffeur driven golf tours of Ireland we are the perfect partner for your golf trip. Working with one of the world’s largest golf tour operators means we have over 25 years’ experience in providing quality golf coach hire and have built up long standing relationship with all the famous Irish golf clubs. Share your photos and your scores with your friends on social media with our wi-fi enabled luxury golf coaches. Each golf coach is finished to the highest specifications with individual reclining leather seats, tables, wi-fi, power points and fridges. Everything is at hand for you to relax, play cards, watch a movie, browse the internet or just enjoy refreshments and discuss your days’ golf. If you need transport for your school, sporting club or sports society look no further than Kennedy Coaches. With a large range of vehicles we can cater for your group no matter what the size. With a team of professional and courteous drivers who are dedicated to your safety and comfort you can rest assured knowing that you and your passengers are in safe hands. We know how important your wedding day is to you and the need for everything to run smoothly on the day. You can rely on us at Kennedy Coaches to get you to the church on time! We have a wide range of vehicles available from Mercedes saloon cars to luxury mini coaches to cater for your bridal party. 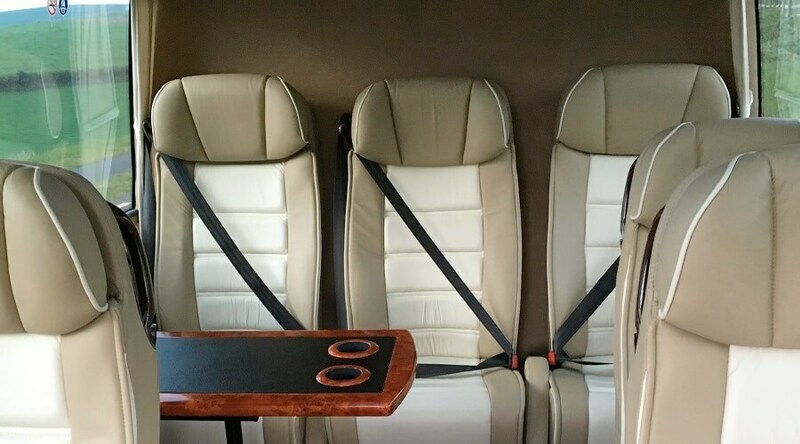 Many wedding parties now want to travel all together in our VIP range so they can enjoy the occasion together as they are transferred to scenic locations for photos and to the reception venue. We run weekend services between Kerry and third level institutes in Galway, Limerick and Cork. These services run on Fridays and Sundays during term time. Click the button below to view timetables!